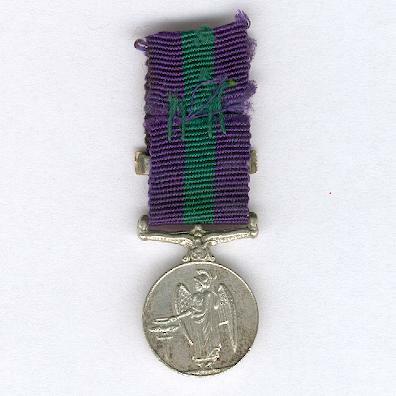 Miniature circular silver medal with ornate scrolled ribbon suspension bar; the face with the crowned head of Queen Elizabeth II facing right, circumscribed ‘ELIZABETH II DEI GRATIA REGINA F.D.’ (Elizabeth II by the Grace of God Queen Defender of the Faith); the reverse with a standing winged Victory with Greek helmet, an upright trident in her left hand, a laurel wreath in her right hand crowning an upright winged sword; diameter 18.3mm (0.72 inch); on possibly original ribbon, a small piece added to the reverse, with ‘MALAYA’ clasp mounted loose on the ribbon. 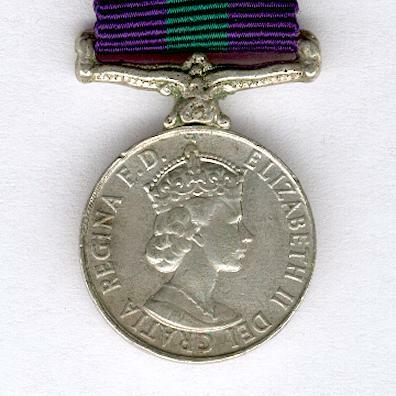 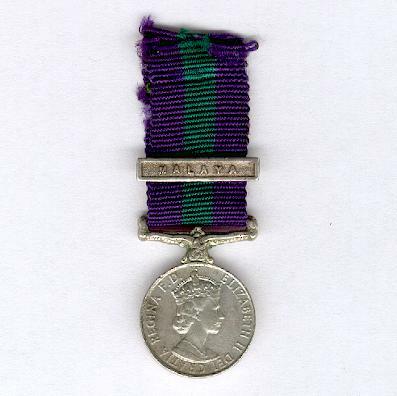 The medal was instituted on 19 January 1923 to be awarded to Army and Air Force personnel involved in small conflicts outside Africa and India where a separate campaign medal was not issued. 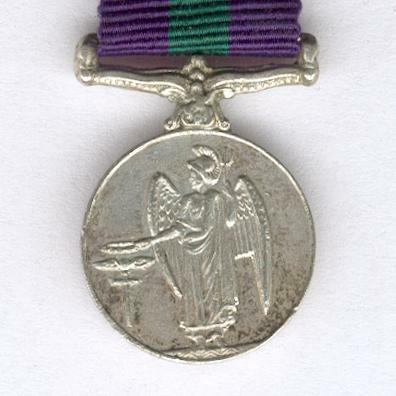 This example dates from after the change of wording on the face in 1955. 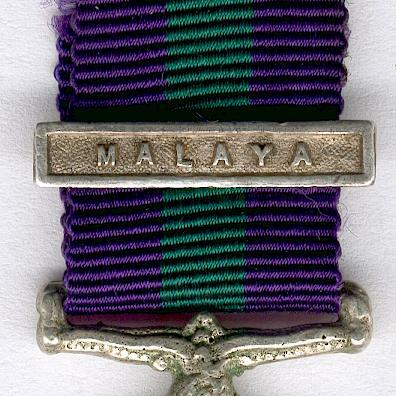 The Malaya clasp was awarded for active service in Malaya against Communist insurgents.